Our classic design needs few words to describe its meaning. 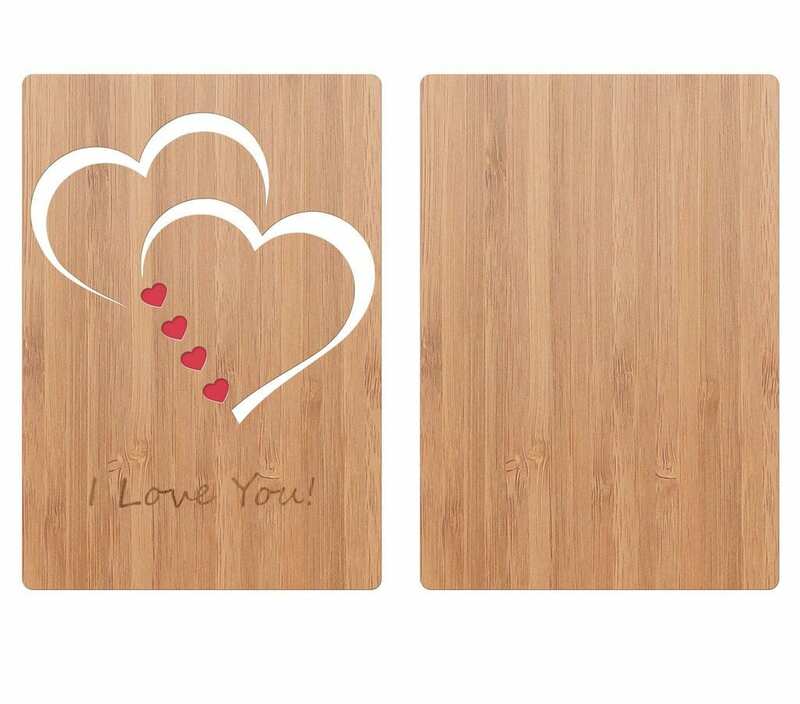 It says “I Love You!” in a simple, beautiful way. 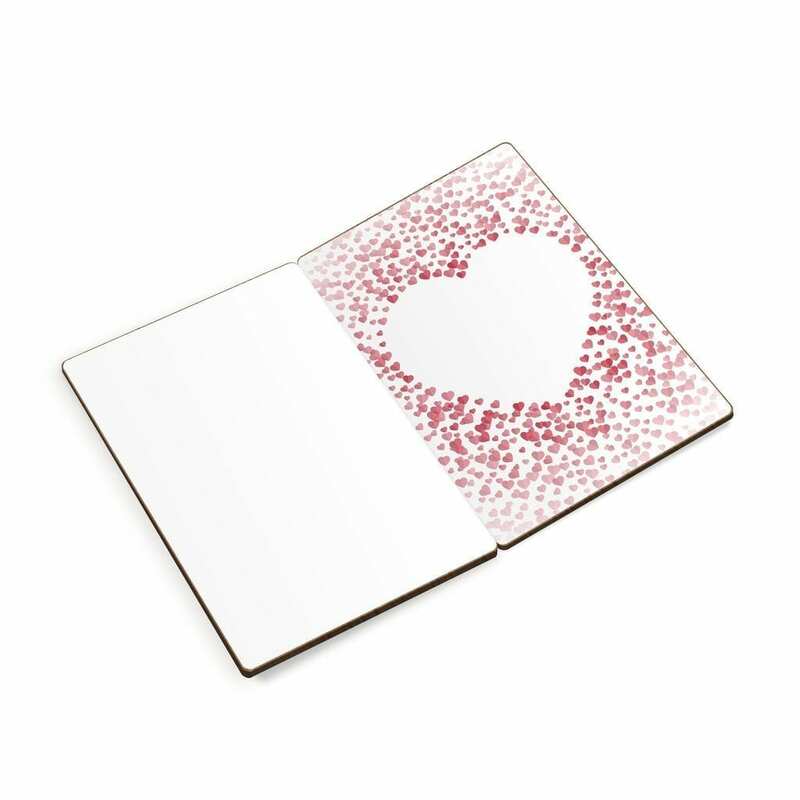 A bright splash of red hearts draws attention to the unique design that is sure to drive your caring message home. 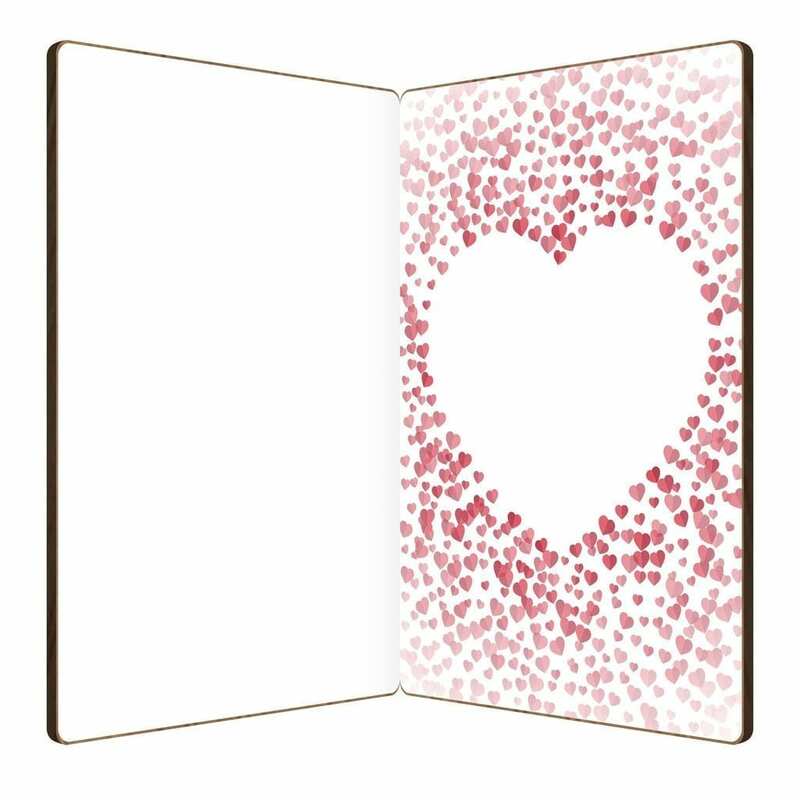 Inside the bamboo greeting card, you will find a blank space surrounded by hearts. It is the perfect place to highlight your message. The left side of the card is left blank to add a handwritten message of your choice. 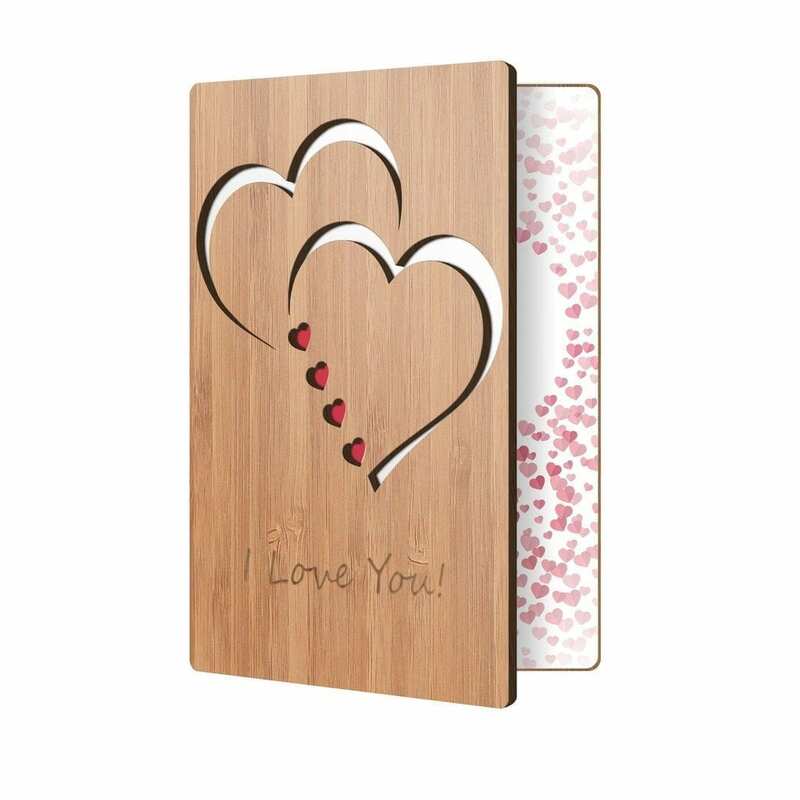 The Classic Hearts Love card is 4 inches wide by 6 inches tall.